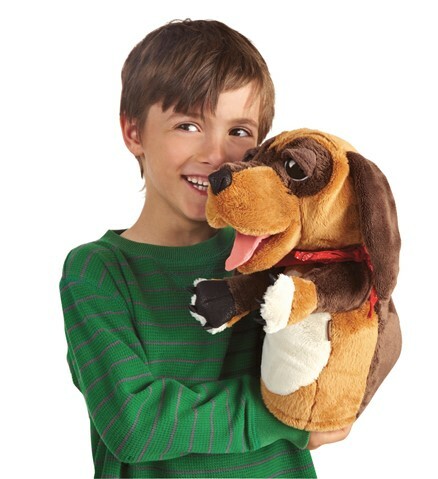 Folkmanis 3100 - A mutt of distinction, the Folkmanis® DOG STAGE puppet wears a bandana and begs for attention with sad puppy eyes. Animate the paws and mouth with retractable tongue to bring this character to life. Movable mouth, forelegs, and retractable tongue. Puppet measures 15” x 8” x 14”.